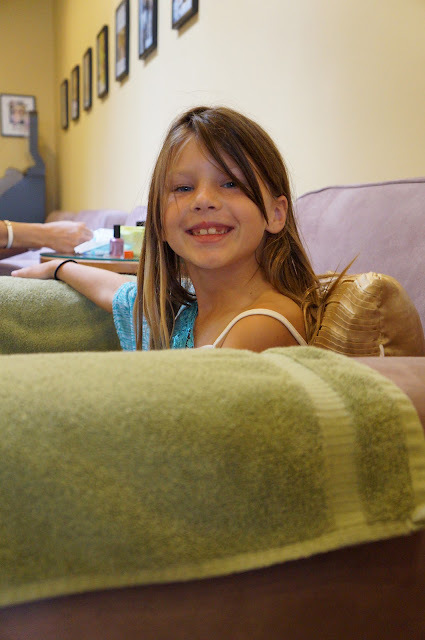 I love getting Mother/Daughter manicures, but I don't like exposing my daughter to all the chemicals that go along with the experience. I try my best to keep chemicals out of our house, and out of our food, but I had never found a way to have a chemical-free manicure until now. Bellacures salon in Laguna Beach offers a new service called a "Mom-i-Cure." This organic manicure is safe for children and moms-to-be. There are no soaps, alcohol or foaming soaks used. They will just soak your hands with hot water in a relaxing environment. Soy based, non-toxic, carcinogenic-free nail polish is used to remove all previous nail polish. A tea tree based organic cuticle remover is used to clean the cuticles along with a 100% grape seed oil to help moisturize the cuticles. My daughter and I felt so relaxed in the large over sized chairs and fluffy pillows. We sipped on warm green tea while listening to the calming music floating in the air. Our skin was exfoliated with a salt and grape seed oil mixture that is made without any harsh ingredients, followed by a massage with lavender calming lotion. The manicure was finished with a chemical-free nail polish. We both walked away from the experience feeling relaxed, refreshed and rejuvenated. 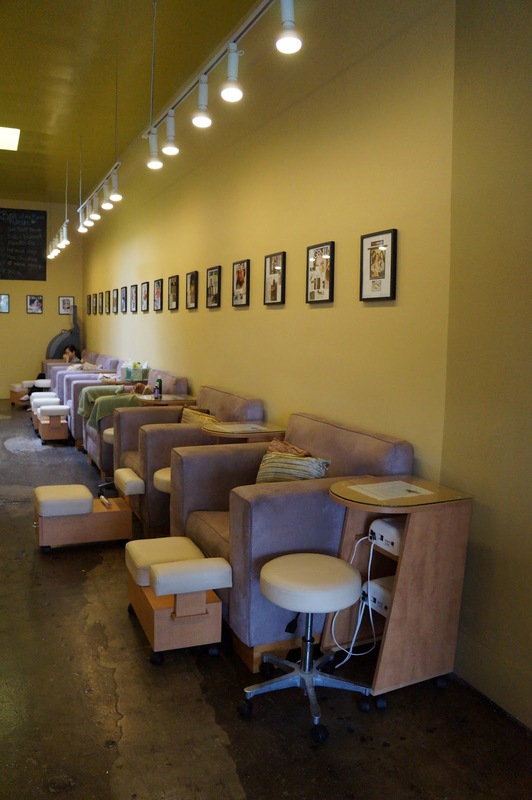 Bellacures is now one of our favorite Mother/Daughter places to enjoy bonding together. Disclosure: We were provided with complimentary manicures. All of our thoughts and opinions are of our own.